Japanese wellness tourism economy. When we consume holidays or yoga-inflected goods and services, like coming to Japan for a yoga retreat, our choices are influenced by subtle marketing techniques that operate at an affective, emotional level. I'm curious about the ways in which yoga is mapped onto different cultural activities, like: yoga and zen; yoga and pilgrimage, yoga and onsen, etc. I'm also interested in the ways in which larger political aspirations co-opt yoga for profit and power. Quite often, the stories about yoga that are promoted as 'true' turn out to be not as true as what was once believed. 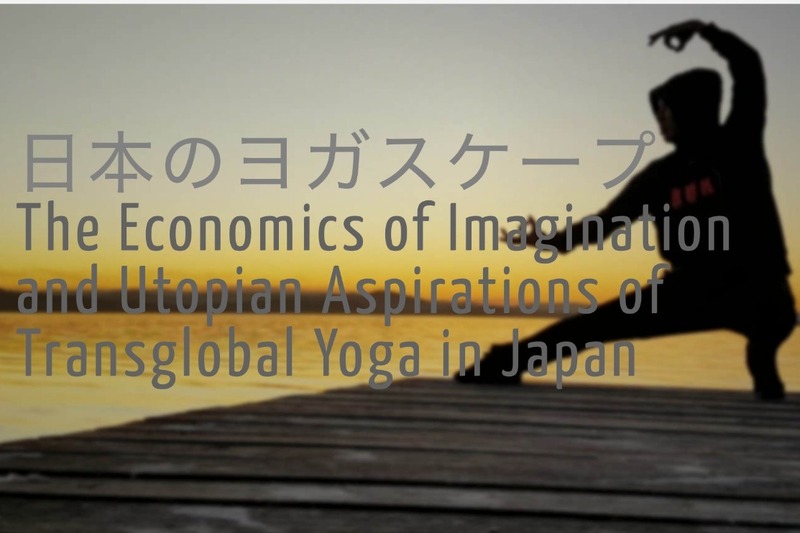 In part, this research seeks to add to the growing scholarly interest on global yoga. The unique thing is that there is nothing at all written about yoga in Japan. Everything we know about yoga is generally due to the focus on North America and Western Europe. While I receive a small amount of money for research from the university, it is not enough to cover the costs. If you are feeling philanthropic, please consider donating some funds to help continue this project. Any funds raised will go towards updating equipment, like a new tripod for the video camera, a new camera lens, a new microphone, travel and accommodation-related expenses to get yoga events, costs for translating and production of videos, etc. I am soon going to run out of funds, which will leave me without any money until next March/April. The problem is that this project is only for 2 years and will end in December 2019. So, running out of funds this early on a project means the results will be less than would they could be, had I sufficient funds. You can also see what I plan to do from January 2019 onwards, in terms of expanding this current project. Thank you, for your interest and support.